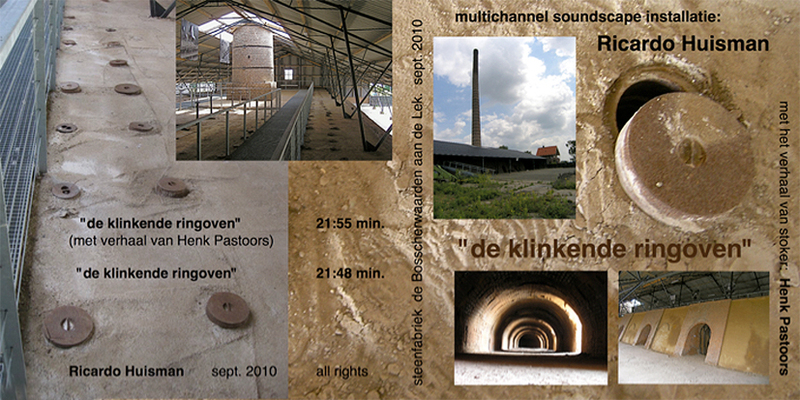 2010 I presented the multi speaker installation: “de klinkende ringoven” (“the sounding ring oven”) during the Dutch weekend for monuments. While walking on the factory oven the public could hear the random ringing and scouring sounds of backed stones, rolling coals, etc. The sounds coming out of the stoker pocks were moving in the direction of the fire in the oven in past days, when the factory was still working 24 hours a day. The stone and rolling coal soundscapes like random repeating mantras could also be heard inside the large ring oven reflecting the round architecture of the stone factory. Near one of the entrances of the factory oven the public could listen to the voice of Henk Pastoors coming out of the dark: one of the last workers in the factory was telling about the baking production of stones in past days. 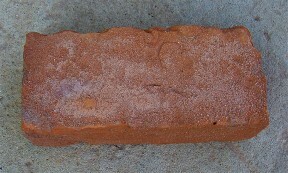 He was telling about the management of the fire moving through the factory, the use of the stones and the quality recognised by the specific ringing sound of the well backed stone, the coals brought by ships on the river, the hard working of the people living in little houses near the factory, etc. 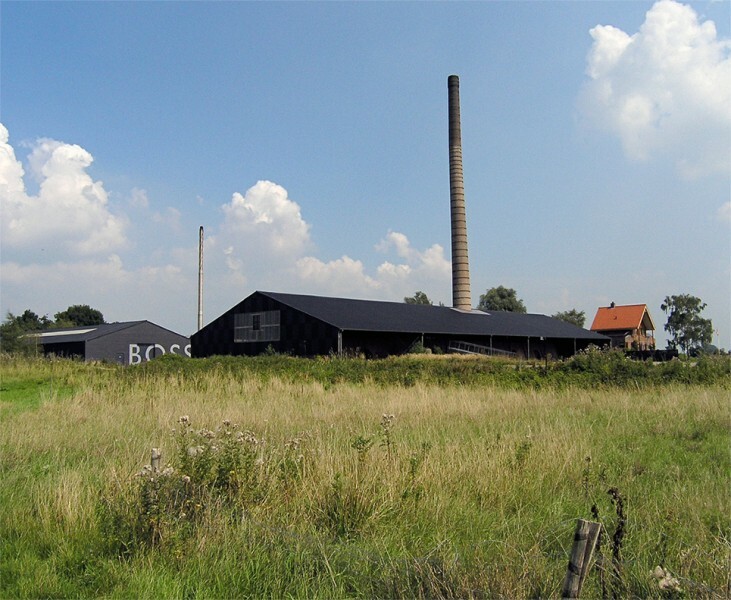 The soundscape installation was resounding the sonic heritage of the Bosscherwaarden stone factory at the river the Lek near Wijk bij Duurstede.